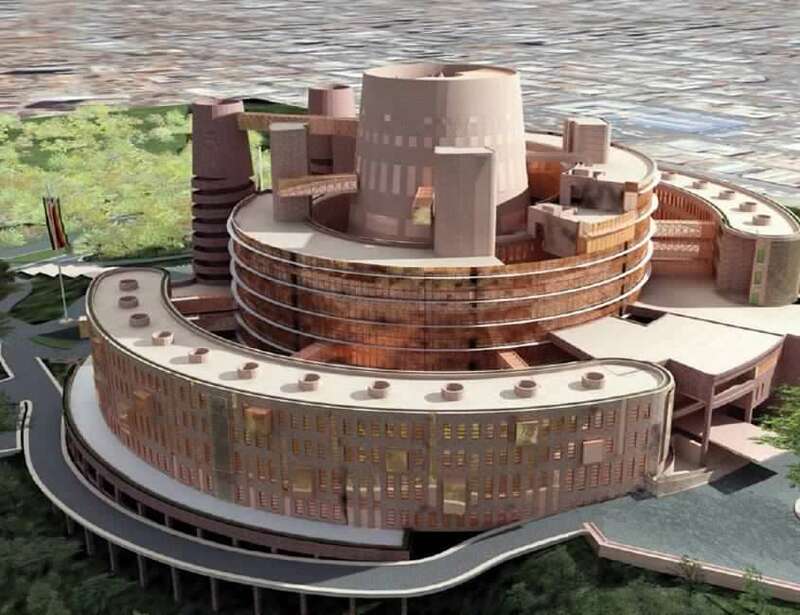 Construction work on Zimbabwe’s new parliament building has been kick-started by President Mnangagwa at a foundation stone laying ceremony carried out recently. The project is being funded by a grant from the Chinese government that will aid the cash strapped country realise its dream of replacing its current august house that was constructed in the colonial era with a seating capacity of 100 but which currently accommodates over 200 lawmakers. The new building will be able to accomodate over 650. The new project is located on Mt Hampten about 18 kilometers north west of the capital Harare. It is envisaged that the building will become the nucleus around which a smart city will emerge offering housing, hotels and shopping amenities. Some estimates put the construction of the new parliament building at US$46 million that will be funded by a grant from the Chinese government which had been a heavy supporter of the previous regime of Robert Mugabe and appears to be continuing this trend. The project was first mooted when the former president visited China in 2014 but its construction was hampered by a lack of infrastructure such as roads and water to enable construction work to start. The construction work is being carried out by the Shanghai Construction Group which is one of the twenty largest construction companies sin the world. It has had several operations on the continent of Africa ranging from housing, hotel construction as well as mining. The construction of Zimbabwe’s parliament building is expected to take 32 months.